If you’re a strawberry addict like me, then you know that local, organic strawberries are the best. Unlike their oversized, waterlogged, conventionally-grown cousins, which are picked unripe and shipped from far away, locally-grown strawberries are teeming with flavour and generate a much smaller carbon footprint. In this modern world, grown accustomed to strawberries being available year-round, nothing compares to that first, sweet taste of a fresh, local organic strawberry. The common garden strawberry found in stores today is actually a hybrid of the French (for flavour) and Argentinean (for size) varieties. Unfortunately, these common, conventionally-grown strawberries are #1 on the Dirty Dozen list for the highest pesticide content of produce! Should I eat organic strawberries? 1. YES! Strawberries are an excellent source of folate. Strawberries are an amazing source of folate (folic acid found in food). Inadequate amounts of folate in the aging population can contribute to atherosclerosis, vascular disease and even a decline in cognitive function.1 Medications used for conditions (like rheumatoid arthritis) can actually deplete folic acid in the body, so stock up on strawberries to replenish! 2. YES! Strawberries could reduce your risk of cardiovascular disease. 3. YES! Strawberries have more than enough Vitamin C.
4. YES! Strawberries are a great source of fibre. 5. YES! Strawberries are high in antioxidants. Pricilla Regina Oliveira Fernandes Fernandes, Fabio Alexandre dos Santos Lira, Vanessa Vieira Lopes Borba, Maria José Carvalho Costa, Ivani Credidio Trombeta, Maria do Socorro Brasileiro Santos, Amilton da Cruz Santos: "Vitamin C Restores Blood Pressure and Vasodilator Response During Mental Stress In Obese Children" Clinic of Endocrinology, University Hospital, Federal University of Paraíba.Rua Severino Massa Spinelli, 191/202 - Tambaú - 58039-210 - João Pessoa, PB - Brazil: February 03, 2011. 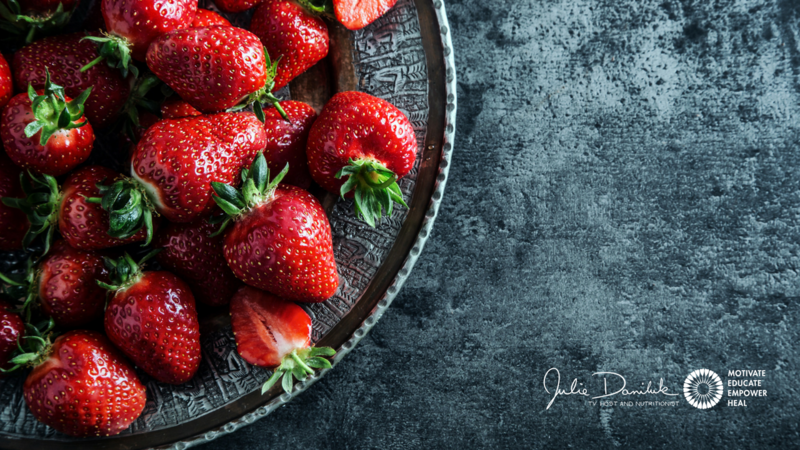 Catherine Felgines, Se ́ verine Talave ́ ra, Marie-Paule Gonthier, Odile Texier, Augustin Scalbert, Jean-Louis Lamaison and Christian R: "Strawberry Anthocyanins Are Recovered in Urine as Glucuro- and Sulfoconjugates in Humans" The Journal of Nutrition 133: 1296–1301, 2003.